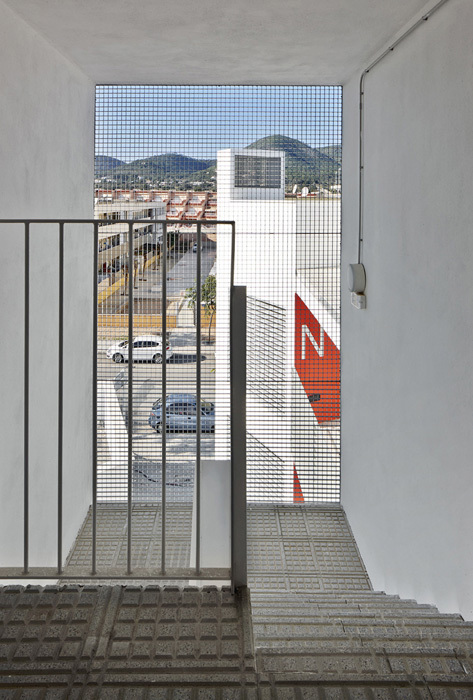 In an exercise of sensitivity and adaptation to a way of making architecture inherent to its urban setting, this project defines its server or intermediate spaces such as patios, galleries or porches as the meeting points. 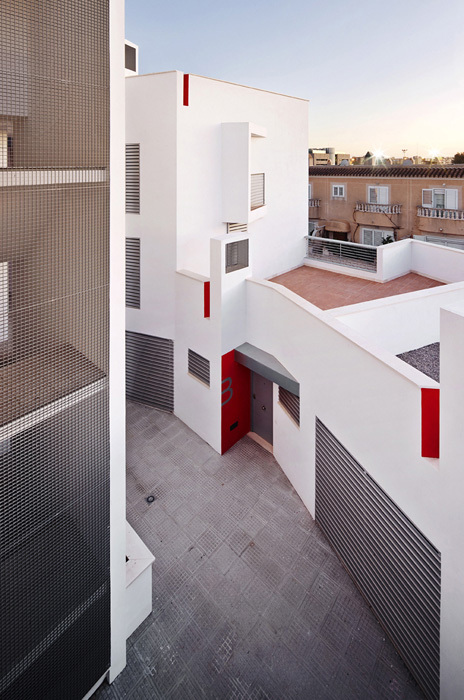 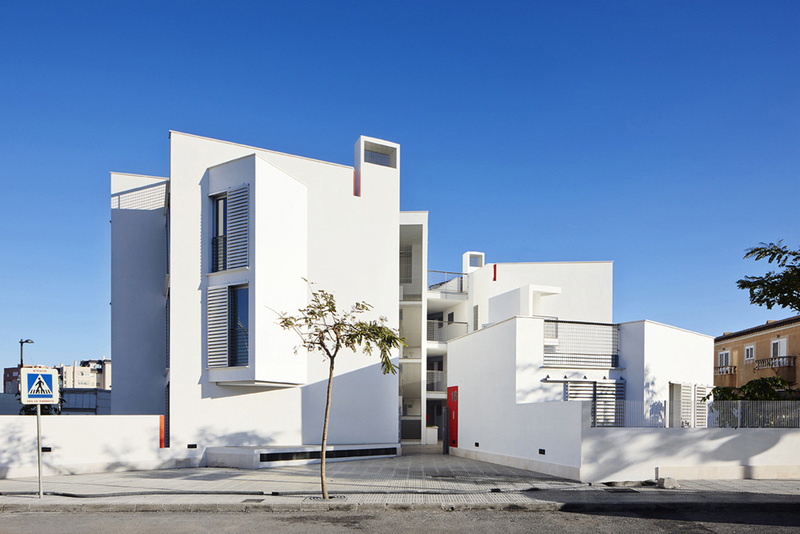 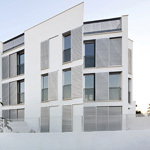 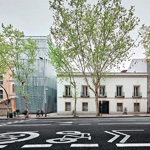 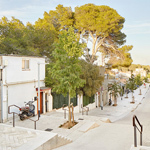 A competition to build social dwellings in the centre of the city of Eivissa allowed the winners to search for urban planning and architectural values taken from its traditional Mediterranean architecture through which to generate an attractive proposal in a contemporary language, contrasting with its surroundings, situated in the city’s expansion area and lacking any architectural and natural references. 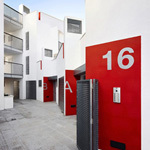 The project develops a programme of 14 two- and three-bedroom social dwellings with basement parking and storerooms. 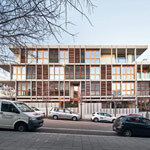 The stringent byelaws in this type of public housing development determines the number of rooms and minimum surfaces for them. 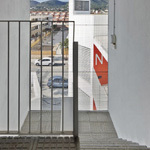 A play of heights linked to the ideal scale, a study of orientations, the use of open transition spaces between interior and exterior, the presence of vegetation and the connection of the interior spaces with their surroundings, the sociability of the public spaces (corners and successions of rooms)… the entire project is articulated around these initial intentions. By escaping the rectangular geometry, with the play of voids created and with the central courtyard that gives access to all the dwellings, optimal use is made of the space. 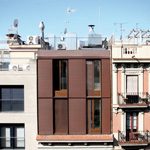 A central communications nucleus and the solution of covered external walkways resolve a more private façade where the service rooms are situated: kitchens, bathrooms and laundry rooms, in contrast with the dynamic external façade overlooked by the main living and bedrooms. 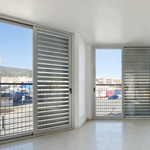 The size of the windows give these rooms a spacious and luminous appearance. 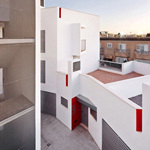 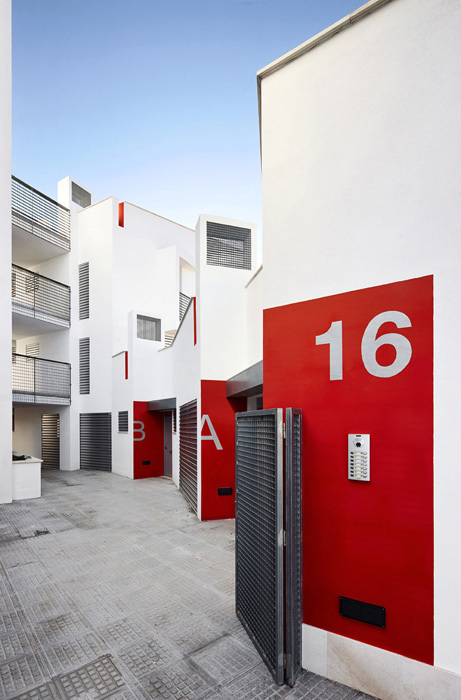 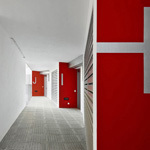 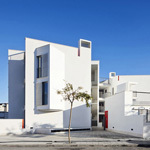 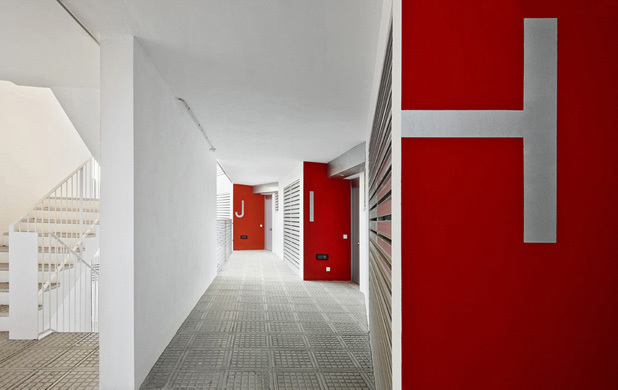 The contrast with the external white, with the details in red in the interior, emphasise the sought-after duality. 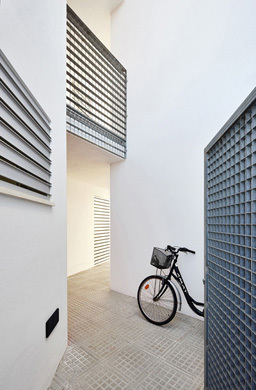 The layout of the dwelling units, in a spiral around the courtyard, liberates the rest of the plot on the ground floor in order to provide an outdoor space linked to the dwellings for use as terraces and gardens. 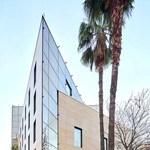 The solution of a central nucleus with interior walkways offers the possibility of crossed ventilation, with facades looking to two orientations, boosted by the effect of the courtyard, the location of the sliding shutters in the external façade openings to allow personal control over sunlight according to each user’s preference. 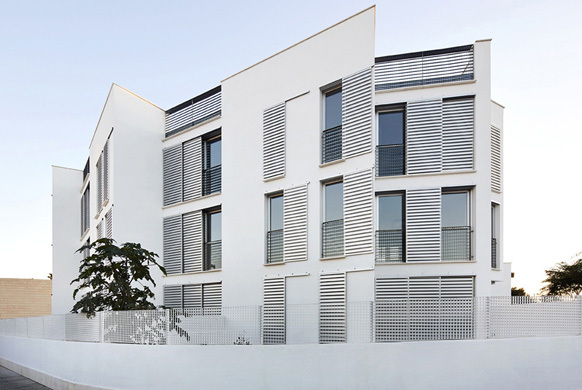 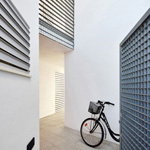 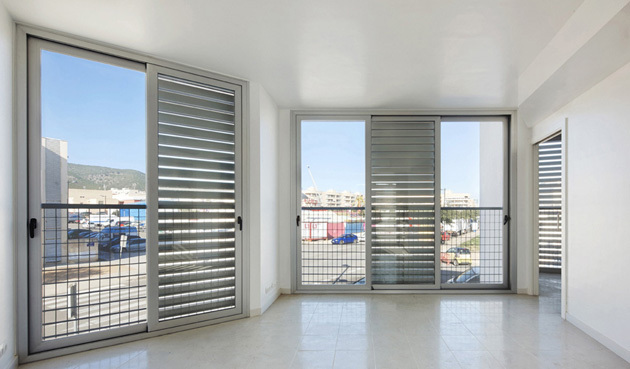 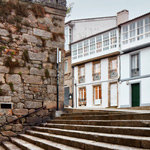 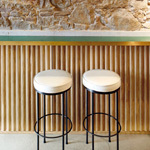 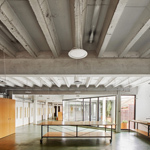 Economy of means with passive systems adapted to the local climate as a technical solution to enhance the social and comfort values characteristic of Mediterranean architecture.